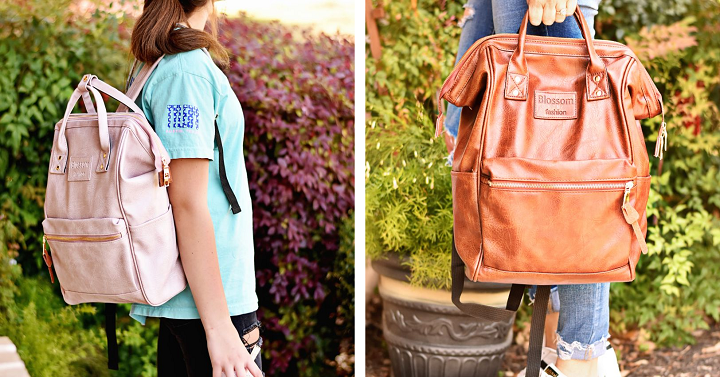 This backpack is extremely versatile as a school bag, gym bag, tote bag, diaper bag, or a purse! Groopdealz is offering the Blossom Backpack for only $28.99! The bag has a structured top, staying open once unzipped to easily put all of your belongings inside! Two side pockets, one front zipped pocket, and two interior pockets allow for plenty of storage. Shipping is $8.99 for the first item and $4.99 for each additional.